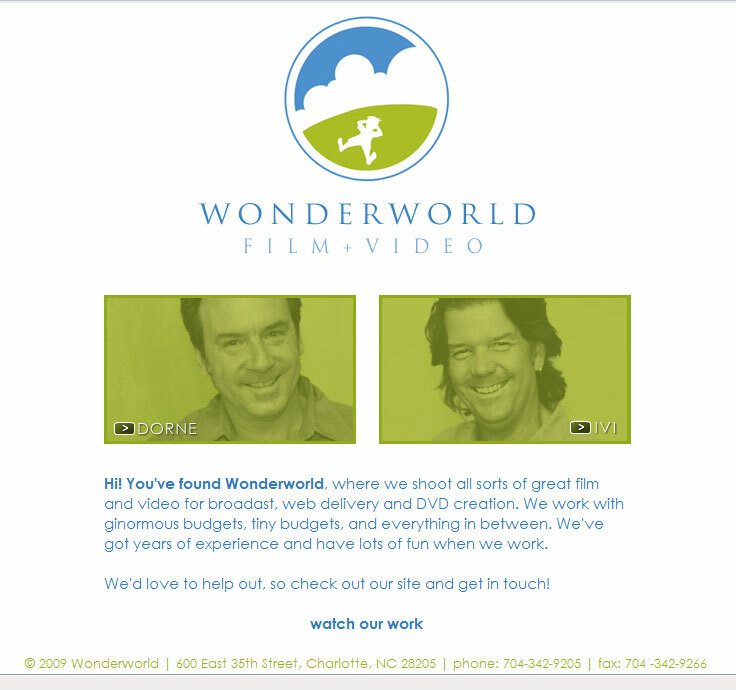 I am excited to announce the recently launched website for Wonderworld Film + Video. This was a fun, challenging project with a great team! Colleen Taylor and I worked with Dorne and Ivi on initial concepting, planning and research. I handled the graphic design, but Colleen and her partner Ben Wilson were responsible for the rest of the masterminding, programming, and implementation. Ben programmed the site to include an interface that allows the folks at Wonderworld to upload new videos and update the site themselves. Good stuff! Thanks also to the very wise Kirk Fannelly and Joey Richey for their consultations.